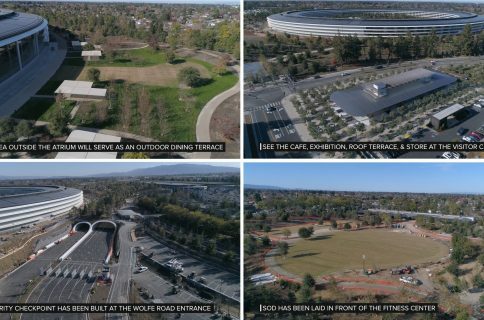 Drone pilot Matthew Roberts on Tuesday uploaded new 4K drone footage of Apple Park construction progress to his YouTube channel, visualizing the finishing touches Apple’s been putting in place on buildings and outdoor areas. The jaw-dropping headquarters are now nearly completed. You can clearly see lush grass planted outside of the cafeteria while the pond at the center of the building is now filled with water. All of the solar panels on the roof have been installed and outdoor food stations are now nearing completion as well. 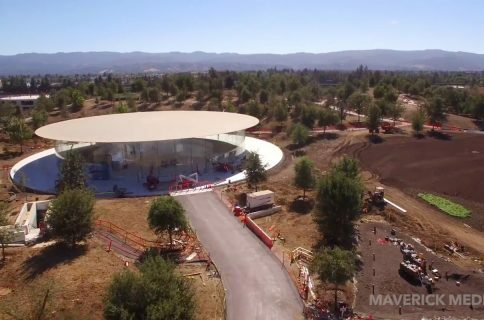 Running nearly two minutes long, the video offers a nice look at the Apple Park visitor center from the sky. I’ve embedded it below so give it a quick watch before meeting us in comments. Apple announced grand opening of the visitor center earlier this week. 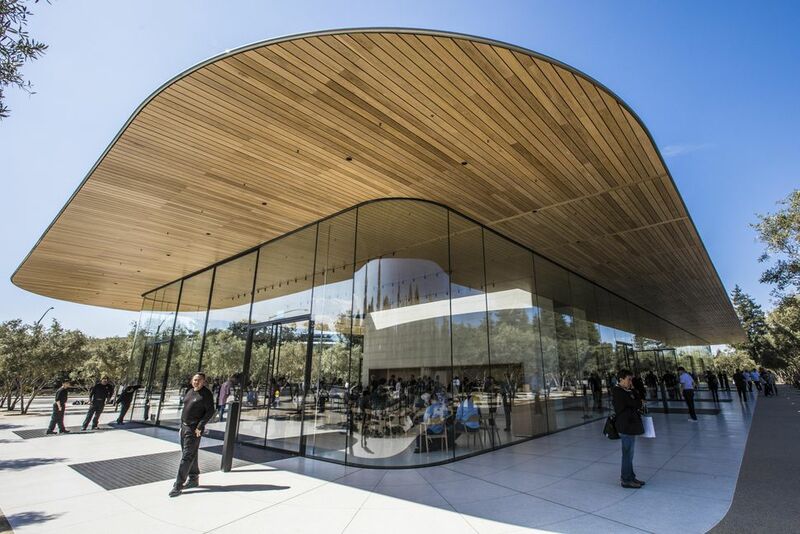 The structure features an exhibit space, an outdoor seating area, a roof terrace, Apple’s first-ever public cafe and a gift shop that sells branded T-shirts, bags, hats and other exclusive merchandise. Its cantilevered carbon fiber roof appears to float and is only supported by stone clad cores and no other extraneous columns for support. The visitor center is located across the street from the main building. 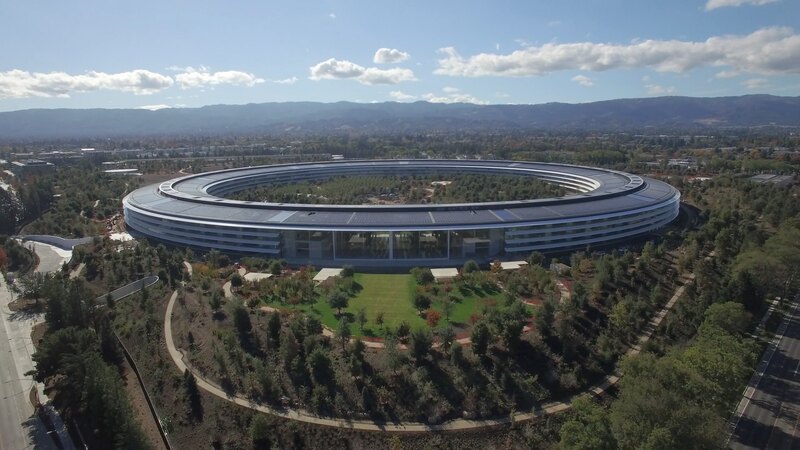 Speaking of which, the main ring-shaped building files as the world’s largest naturally ventilated office building featuring one of the largest on-site solar energy installations in the world. 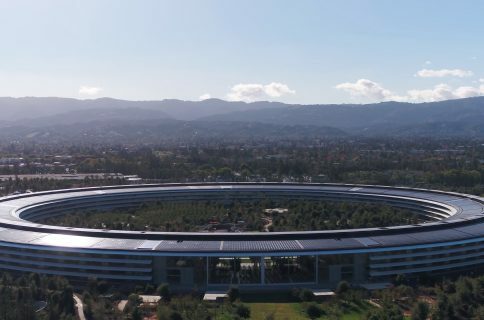 How do you like Matthew’s latest birds-eye video of Apple Park?